If your market research company is considering outsourcing recruitment for focus groups or interviews, there are a number of things to consider before selecting which recruitment firm to partner with. Many market researchers will tell you that managing recruitment in-house is time-intensive and can sometimes blow up budgets. 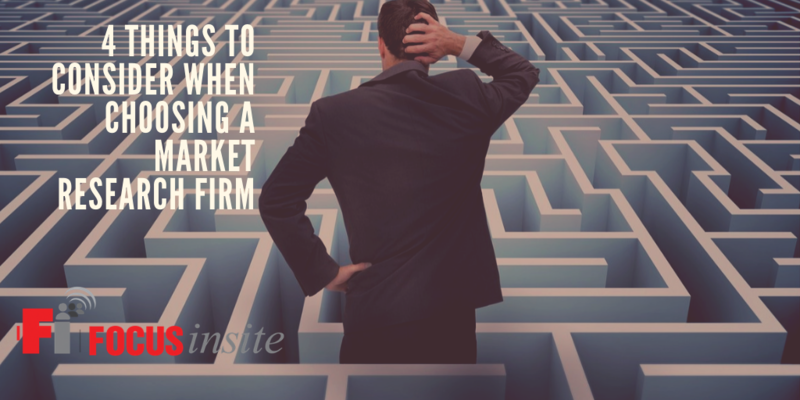 You don’t want to align with any recruitment firm though, you want to think of this as a partnership that performs a critical function of your market research. Does the recruitment firm abide by the Respondent Bill of Rights, as set forth as “best practices” by the Marketing Research Association? In order for recruits to feel comfortable sharing their honest opinions they want to know that their privacy will be protected and what, exactly, they might expect during an interview or focus group. The Respondent Bill of Rights was developed to ensure subjects that there is a standard of professionalism and privacy in exchange for them agreeing to participate in a study. Knowing that a recruitment firm honors this bill of rights is one way to discern the level of care and respect the firm uses when recruiting. It is also an easy way to know how personal information is managed and the safeguards that are in place regarding sensitive data. What is the success rate of the recruitment firm you’re considering? Can they offer you a client-list for reference checks? Can they demonstrate transparency and clearly communicate their recruitment strategies? What types of studies have they recruited for in the past? Some recruitment firms specialize in one or few areas, so make sure you ask if they have experience recruiting for the targeted demographic required for your market research. Further, how do they manage personal information of their recruits and what are their policies for safeguarding sensitive information. These are some of the questions to ask before partnering with a recruitment firm. Many market research studies need to pull from a wide geographic area and you’ll want to know if the recruitment firm you’re considering has the ability to recruit participants that match the geographic demands of your study. Market research can either be broad or very niche, so asking about a firm’s experience in recruiting across geographic ranges is important. Partnering with a recruitment firm that can satisfactorily answer the above questions will give your market research team the confidence that a crucial component of your research can be carried out. To learn more about how Focus Insite can help you. Contact us here for a free proposal.